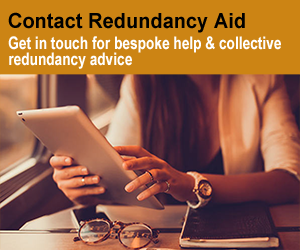 If you received no consultation, the relevant consultation timings for the collective redundancy process wasn’t adhered to, or it wasn’t clear about selection, reasons for redundancy or no attempts were made to minimise redundancies, then it likely that the consultation wasn’t meaningful. This means that your employer treated you unfairly and potentially broke the law, that’s where the Employment Tribunal (ET) process comes in. The tribunal could order your employer to pay you compensation, known as a protective award, if they find in your favour. The process is independent and impartial; it operates like a court with a judge but without the need for specific legal representation. Should I apply to the employment tribunal? The ET1 form itself is relatively basic, however the details around applying to the tribunal are covered by English law, this means that there are specific circumstances and references that should be made as part of the application, there is also various precedence in law that mean certain circumstances have been ruled on before and the outcomes in future claims that mirror those circumstances won’t change. There are no longer fees for the process and the hearing; the government fee process was ruled unlawful by the supreme court in July 2017. This means if you paid fees for an employment tribunal between 29 July 2013 and 26 July 2017 you are due a refund. This can be applied for online or by postal application. Apply for an employment tribunal fee refund. 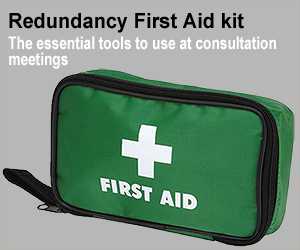 You will need to keep and produce evidence to support your claim, so any correspondence, emails and hand outs you received during the redundancy process will be needed, and keeping a note of any meetings or key events is also wise. If you haven’t got this evidence, or the group claiming can’t supply them, then it is likely that the case will fail before it reaches the tribunal. It is worth having someone collate and manage this from a group point of view, to help ensure all correspondence processes are carried out correctly. If your employer is still trading, you will have to contact ACAS first, (Advisory, Conciliation and Arbitration Service) before a tribunal will hear your complaint. ACAS offer a free Early Conciliation service that will attempt to help you resolve the situation without going to court. If this does not work they will give you a certificate to allow you to proceed to a tribunal. If your employer is insolvent, or in administration, it will not be appropriate to follow the conciliation process, however the tribunal will still expect you to have spoken to ACAS. Applications to the tribunal must be made within 3 months of being made redundant, no claim for a protective award can be made outside this period. The only exception to this is if you went through the ACAS conciliation process, the time spent in this process is added to your time to make an application, if it took 2 weeks you can add 2 weeks to the 3 months maximum period.